Forelight, a new premium WordPress theme for online stores selling digital products from cpothemes, so if you are planning to create a new online digital product store you know where to head on. This theme is made to integrate with Easy Digital Downloads right from the start, so that you can start your own online business as quickly as possible. Forelight Digital Store WordPress Theme is created to work with the Easy Digital Downloads plugin right out of the box, providing full integration to showcase your products like no other. 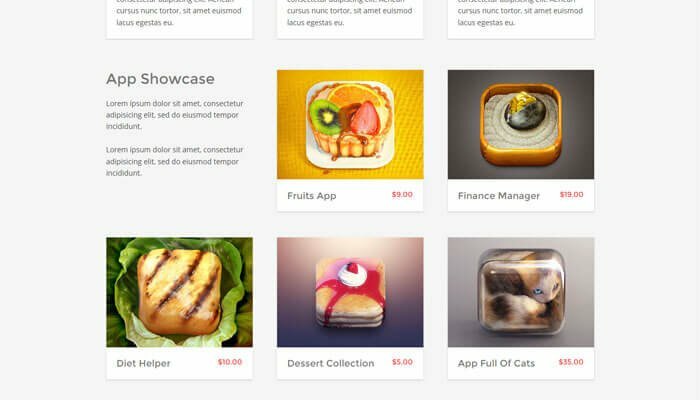 Forelight Digital Store WordPress Theme comes with huge number of options that let you customize most of its appearance, and provides a custom design for your product pages to make them look unique. Mobile Compatibility: Forelight Digital Store WordPress Theme is fully responsive, That means your visitors can shop from virtually any device, ensuring you get the most out of your web traffic and driving up sales. Your site will look great regardless of which device you’re using to browse. SEO Optimized: Forelight Digital Store WordPress Theme is created to be SEO friendly. It also come with easy-to-use tools to optimize post and page metadata for search engines. Multiple Page Templates: This theme has plenty of useful page templates to every theme, so that you can have a great variety of customization options. Custom Shortcodes: A multitude of custom shortcodes are included to give you maximum flexibility when operating your site. Create buttons, columns, slideshows, and more. Plugin Integration: The theme integrates with popular plugins such as WPML or Yoast SEO to virtually eliminate any setup times, freeing you to focus on content.